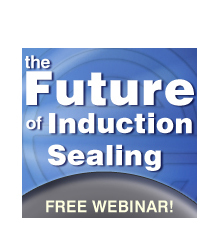 Thank you for your interest in The Future of Induction Sealing Webinar. Simply provide the basic information in the form below and you'll receive access to this insightful webinar moderated by Packaging Hall of Famer Ben Miyares. Innovative People Ensuring Your Sealing Success. Enercon is the world's leading manufacturer of induction sealing systems and associated support equipment. Our unwavering commitment to your success includes industry leading technology, application expertise, and world class support.